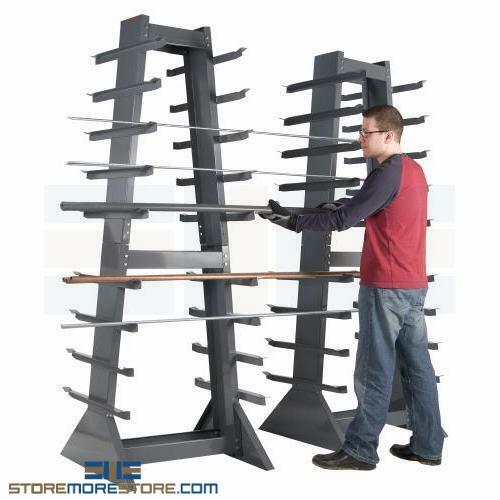 Pipe storage racks are ideal for storing long materials like bar stock, trim lumber, strut, threaded rods, and more. This allows you to store more in a smaller footprint while keeping long, heavy items organized and accessible. Also, improve employee safety and ergonomics by storing pipes off the floor to prevent injury from bending and reaching. Additionally, employees can access stored items much faster and easier when they don’t need to lift them off the floor. In order to store extra-long materials, you can purchase multiple units and stack them side by side for continuous storage. 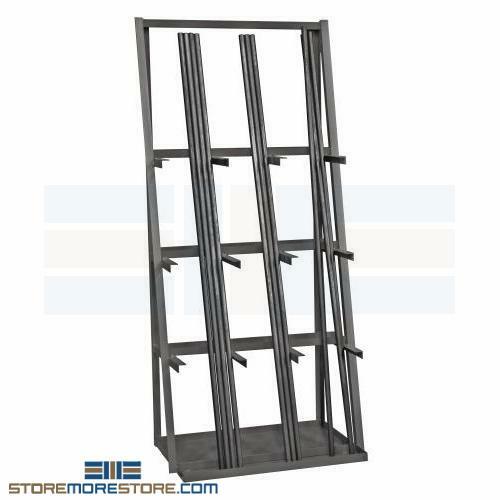 Vertical and horizontal pipe storage racks are available to buy online and ship within 4-5 business days with free dock-to-dock shipping included. If you need any assistance or just want some help picking the right solution for you, please call us at 1-855-786-7667.